When planning for hurricane season, one thing many people forget to prepare is their vehicles. Your vehicle is a significant investment, which means it’s essential to protect it just as you would your other assets. 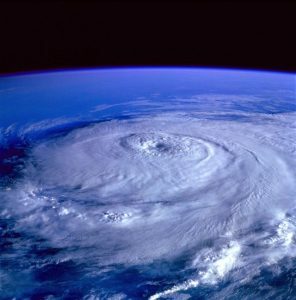 This article will provide you with tips you can use to protect your vehicle during the next tropical storm or hurricane. Keeping up with vehicle maintenance throughout the year is essential. If it’s been a while since you have had routine maintenance done on your car, take the time to do a basic check yourself, or bring your vehicle to a trusted mechanic. Make a point to check your car’s fluid levels including its oil, transmission, brake, power steering, coolant, and windshield wiper fluid. Additionally, check your car’s tire pressure, battery, AC and heating units, and belts. Don’t let yourself get in the habit of letting your gas tank go down to empty, especially if you know a hurricane or tropical storm is looming. Waiting until the last minute to fill up your tank will result in having to pay a higher price for gas. You may even miss out entirely on being able to fill your car up due to a gas shortage. If you live in an area that has frequent evacuations, make sure always to have a gas canister handy. You never know what the fuel supply will be like on your evacuation route. The Department of Homeland Security has some additional ideas to help you create the best car hurricane emergency kit possible. Make sure you are up-to-date with current evacuation routes. Also, keep a radio with extra batteries in your car to ensure you have the option to listen to weather updates wherever you go. If you are forced to leave your vehicle behind when you evacuate, make sure to find a safe location to park your car. If you have a lot of clutter in your garage, take the time now to clear a space for your vehicle. If this is not feasible, make sure there is a location that is a safe distance away from trees, phone lines, signage, loose debris, and light poles. Before leaving make sure to have a tarp on hand to protect your car from scratches.